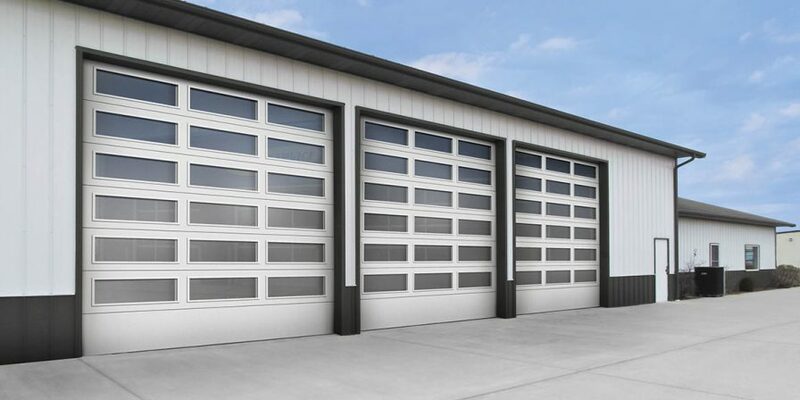 The perfect choice for architectural applications that require open visibility, bright light and a modern, industrial design. 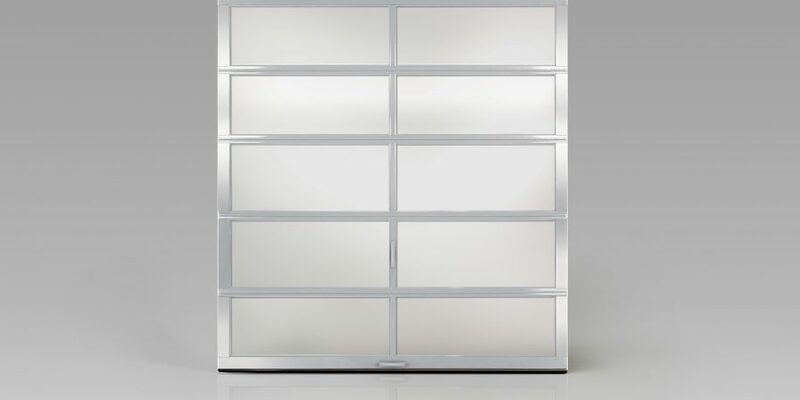 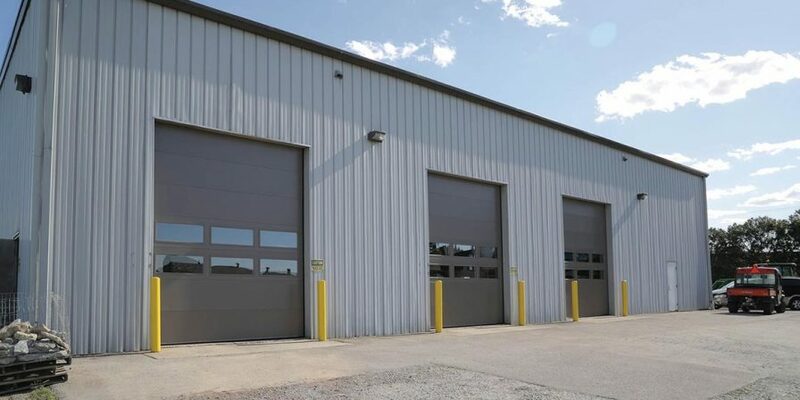 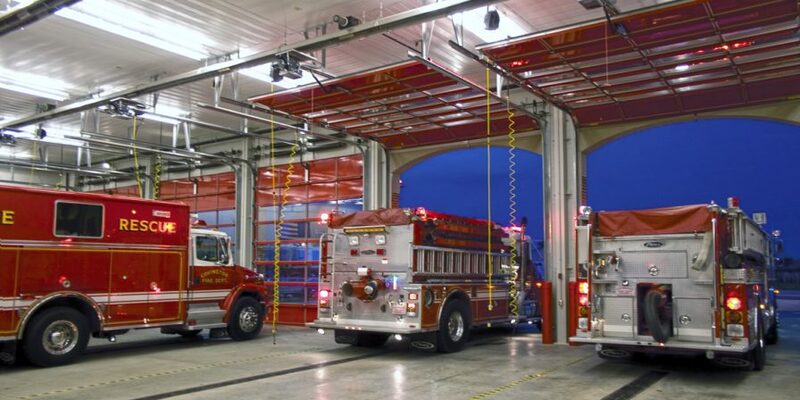 The Full-View aluminum series doors can be used as a standard exterior garage door, as an interior "partition," or even as a versatile patio door to seamlessly merge indoor and outdoor spaces. 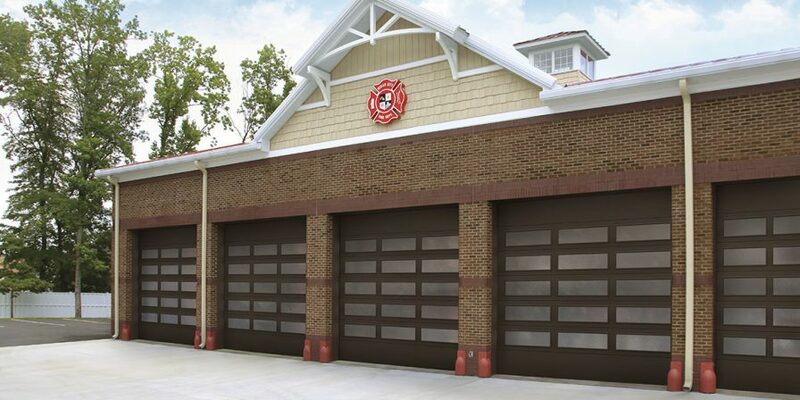 Well-suited for restaurants, service stations, car dealerships, fire stations, and trendy commercial retail and office spaces with a distinct architectural appearance. 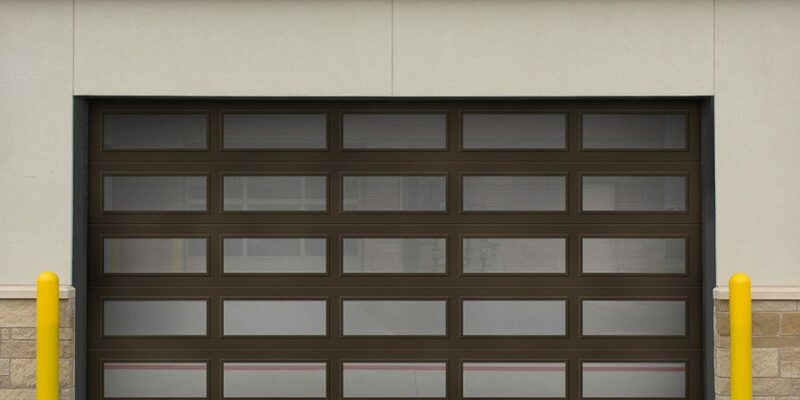 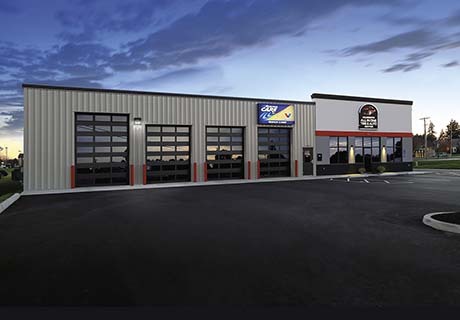 Scroll through the images to see some of the styles offered for Aluminum Garage Doors, or click on the image of the brochure to learn more about the features. 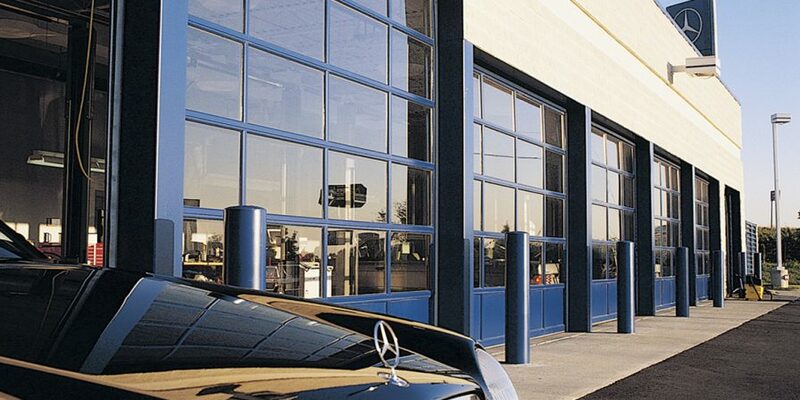 Full Vision doors come with a variety of options to address your building requirements. 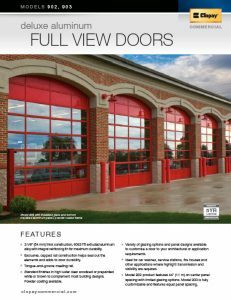 Along with a variety of finishing options and glazing materials, full view doors can be designed with additional styles or custom section arrangements, creating a unique look with design flexibility.